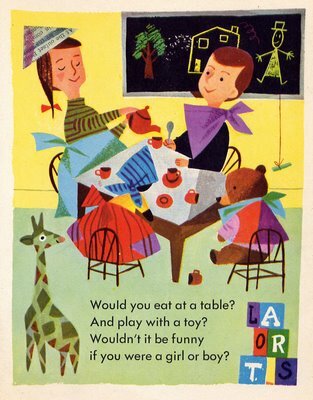 Fun All Around: John Parr Miller (1913-2004) What If? 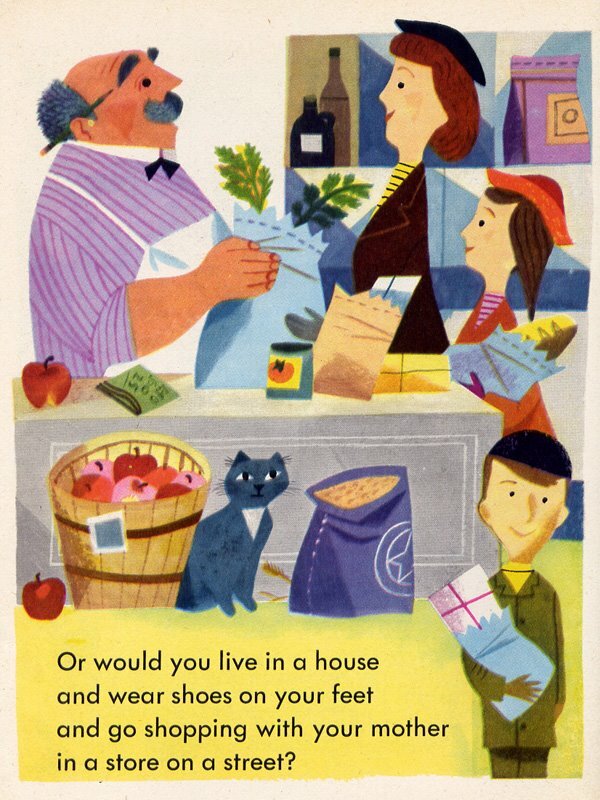 John Parr Miller (1913-2004) What If? This is the first in a series of posts on J. P. Miller. 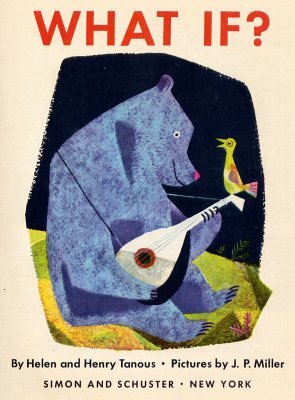 Of the classic Little Golden Book illustrators, J. P. Miller is probably my favorite. 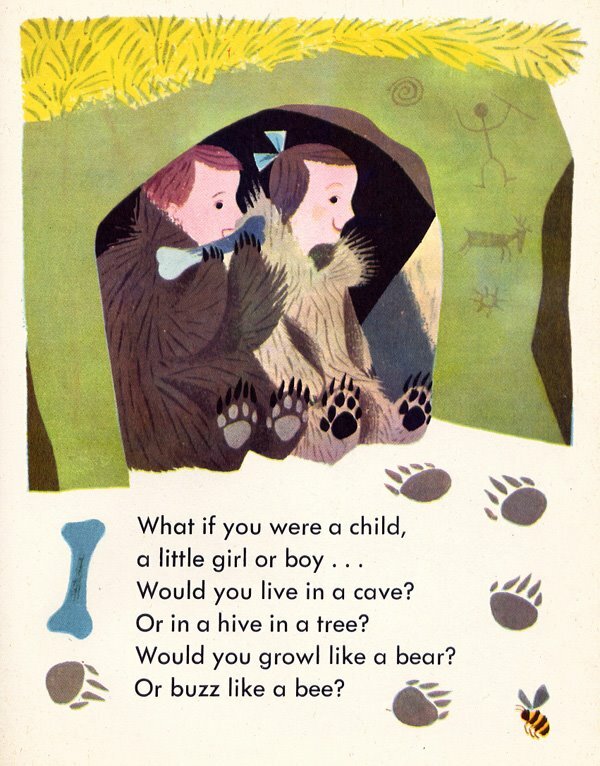 The following are from the his Little Golden Book, What If? 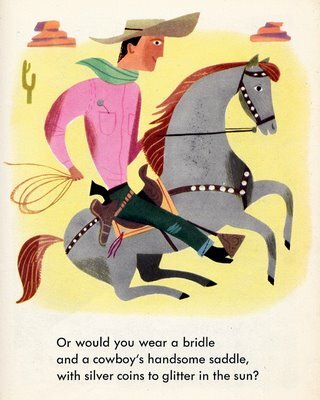 written by Helen and Henry Tanous, first published in 1951. 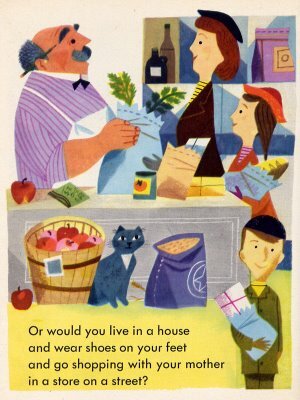 Great JP Miller stuff! I wanted to point out something slightly related. The co-author of WHAT IF?, Henry Tanous, was an animator at Disney who worked on TOOT WHISTLE and SLEEPING BEAUTY among other things. There's a brief bio about him here. Just thought it was kind of interesting. Just found one of Tanous's personal paintings here. Great info. Thanks for the links, Amid! HURRAY for this one and Delwyn Cunningham, too! Hurray for you, Eric! Hi Eric, Thanks for your beautiful presentation of my "Uncle John's" book What If? I'd love to have some communtication with you but can't seem to access your email. Thanks for honoring a wonderful,creative, and very witty man! I adored him! Ah J.P. Miller! 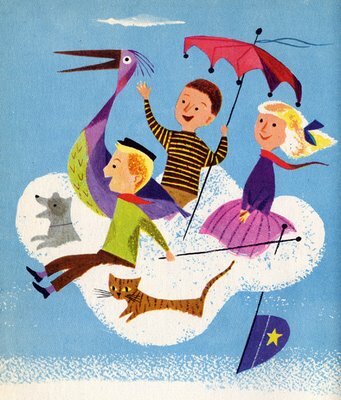 No one can draw bears or children & animals flying through the air quite like him. I just discovered this blog and I am loving pouring over its posts.